Well the name itself say everything so i guess you dont need to be clerified what we are upto. But still for a small explaination, we will be injecting this time in Update query. okay first thing you should remember dont try those other testing techniques with delete query else you will end up changing the whole table of the website. Now the question arise!! 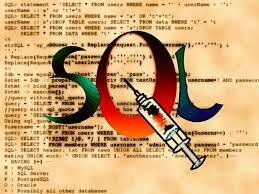 how will you know i the query in which you are going to inject is a updation query?? Well the answer is pretty simple "Common Sense". It really depends on the action you are performing using the form or any other way. What you really need to know is that what ever action you are performing if that is updating something then it should be the Update Query injection type. 3. Tempering the Update Query input values to get the Output. So actually the above query will output the data in form of error. for rest of Exploitation using Sub Query Injection. But it will only work when the developer is printing any error. So now lets start with our 3rd method. Well this time we are not going to create any error assuming that the developer is not giving any error. So we will get the output by inserting the injection and then update it. After that we will check the updated value to get the data. Actually because of lack of my own knowledge or lack of Concatination operator in MySQL this task is not going to be very easy. There a loads of other ways to inject into a Update Query but i suppose not to discuss them here. Well we will now get the output in Numeric value, for that we will use ' ' to add and we will convert our values into hex to get the output in numeric value, we can also use ASCII function for the same approach but ASCII makes the process slower and lengthy. On the same time there are many other methods to do it. But right now i find this one to be the best as of i got. so let us continue with this. Our Input is going to $status variable. Now we will first try and get the count of characters in current database() string. so now lets see what will happen on the query side. Let us assume the Database name is "target" so now if we check the updated value it will show us 6 over there. Now let us get the current database name. What we will do is we will convert the name to hex to get the data in numeric value. The value '746172676574' will be updated so if we unhex this value. we will get that the current database name is 'target'. That was easy but the problem with Hex is that some character like 'L' is 6C which will then be truncated so we can use hex function twice if the name is not complete, still if we dont get it completely then we can use the substring function to get 3 characters at a time. Getting database() by hex encoding it twice. Okay now we can continue dumping the other part in the same manner just using the basic tricks, and the injection will remain the same. If you dont understand the rest part of exploitation read the Basic SQL Injection and death row injection again, and most importantly use your mind.